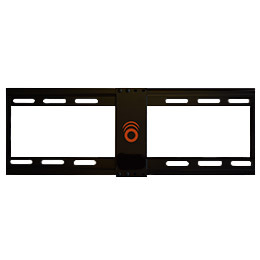 32" - 70" 125 lbs 15º 2.5"
A tilting TV wall mount for flat screen TVs up to 70". 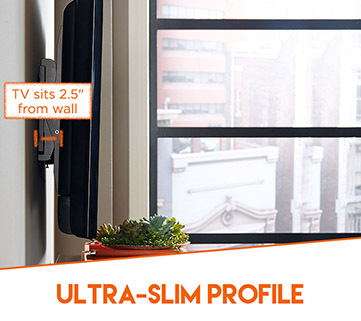 UL certified for safety, this bad boy will have no problem supporting TVs up to 125lbs. 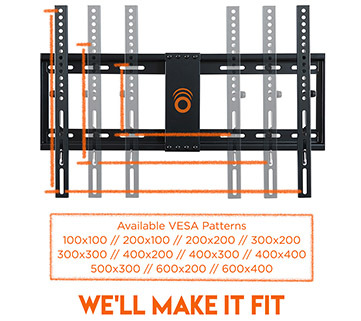 Designed to accommodate almost all VESA patterns (those little holes in the back of your TV), this mount is compatible with almost all TV brands and models. 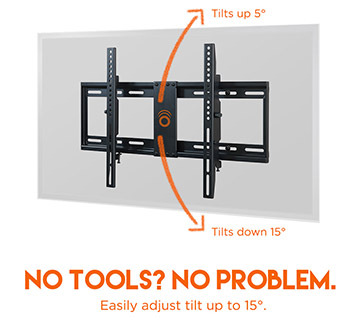 Don't take us lightly, our heavy-gauge TV mount holds 32" - 70" TVs weighing up to 125lbs. Place your TV 2.5" from the wall, leaving easy access to cables and cords. 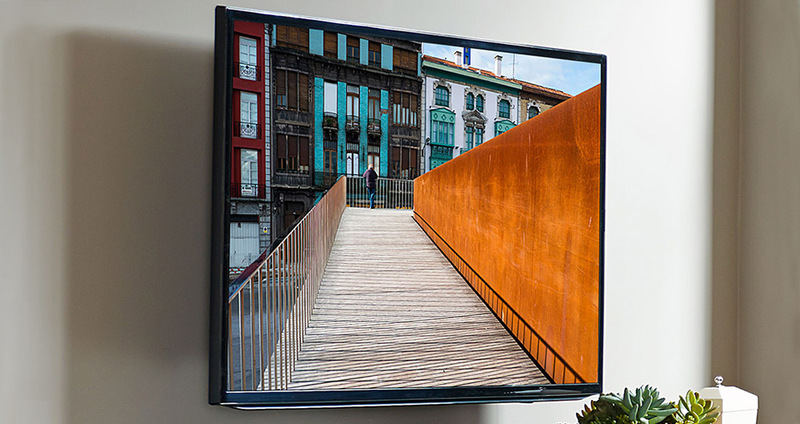 Thinking of mounting your TV on concrete? You'll need some extra hardware, check it out here. Don't worry, we'll do the heavy lifting: ECHOGEAR mount is tested to hold 4 times the weight they're rated to. Get tilted for a sleek look and no glare. Glare on your TV. Gross. We’ve all been there, you’re trying to get immersed in the world of your favorite movie but screen glare has got ya down. Tilting TV brackets let you mount your screen above eye level, then tilt the screen down to reduce reflections from windows, ambient light, or strobe lights from your crazy neighbor’s illegal rave parties. Mounting above a fireplace? A tilt mount is the best solution. Because you are mounting above eye level, tilting down is best way to get viewing angles so fly, it'll make Maverick jealous. If you need to mount a TV in a corner, a full-motion mount is a required. 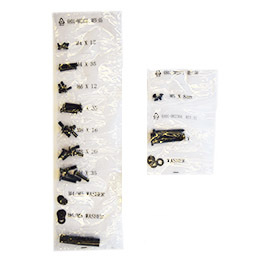 We would recommend a single stud full-motion mount, see it here. 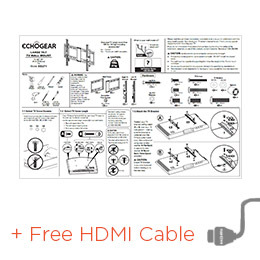 "Based on other's reviews, I went with this one for my 60in Vizio TV and it worked like a glove, easy to install, brings everything needed and the best part, the price, great job by the guys at ECHOGEAR." -Miguel M.
"Strong product, easily installed, secure. I wasn’t about to pay the "Best Buy" prices and this product hit the mark at a smart price. I ended up buying 3." -Keith B.
Click the button below to add the Tilting TV Wall Mount for 32"-70" TVs to your wish list.